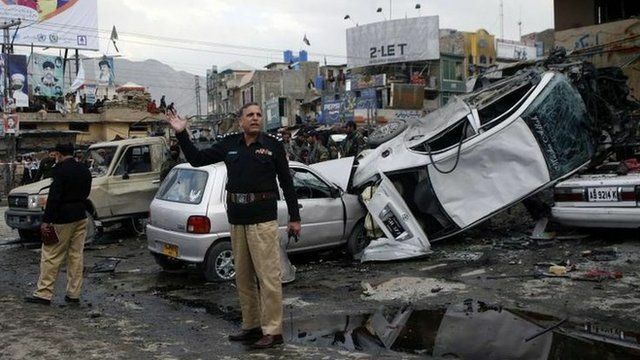 Twin blasts at a snooker hall in the south-western Pakistani city of Quetta have killed 81 people and injured more than 120, police say. Many of the casualties were caused by the second blast as police and media rushed to the scene. The bombed area is predominantly Shia Muslim, and the Sunni extremist group, Lashkar-e-Jhangvi, said it had carried out the attack. Earlier, a bomb in a market area killed 11 people and injured 27 more.